Written for young readers ages 9-12, the Children Should Know series introduces children to great artists, artworks, and architecture in a fun and engaging manner. Hardcover. 9½" × 11" (24 cm × 28 cm). 13 Art Illusions Children Should Know — Children love to be fooled, and artists are some of the greatest tricksters around. This book features artworks that incorporate a variety of methods for tricking our eyes including trompe l’oeil, Surrealism, Photo Realism, and clever uses of color and perspective. 48 pages. 13 Art Movements Children Should Know — Filled with gorgeous color reproductions and packed with fascinating information, this book presents a chronological sampling of art history's most important movements, from Romanesque to Pop. 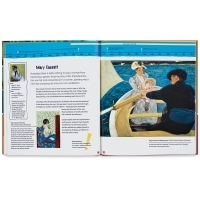 Double-page spreads provide a detailed description of each movement, representative illustrations, and a timeline that places the artwork in its historical context. All of these elements are presented in a playful, eye-catching manner to engage young readers. 48 pages. 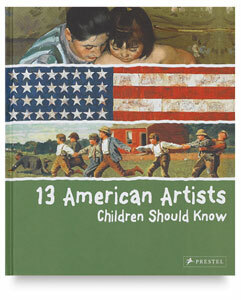 13 Painters Children Should Know — From the fantastic images of Hieronymus Bosch to the romantic idealism of Titian, the gorgeous colors of Cézanne to the graffiti-inspired figures of Jean-Michel Basquiat, each painter is presented in chronologically arranged, double-page spreads that feature beautiful reproductions, interesting facts, biographical information, and comparisons to other painters. 48 pages. 13 Art Inventions Children Should Know — From the use of perspective to the invention of the paint tube, 13 examples of some of the most important breakthroughs in artistic technology offer kids an exciting new perspective on the world of art. 48 pages. 13 Art Mysteries Children Should Know — In this intriguing book, young readers are introduced to the unsolved mysteries behind some of the world's greatest art and artists. Each masterpiece is presented in a double-page spread with stunning reproductions, biographical information about the artist, historical context, and the pressing questions themselves. 48 pages. 13 Photos Children Should Know — This beautifully illustrated book explores some of the world’s iconic images, teaching children about the impact of photography on their world. Art historian Brad Finger shares some of the world’s most renowned pictures, which are also the most exciting for children to view and discuss. 48 pages. 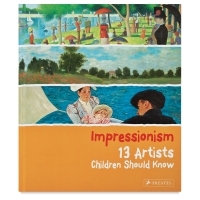 Impressionism: 13 Artists Children Should Know — This beautifully produced volume teaches young readers how painters from Claude Monet to John Singer Sargent introduced Impressionist styles of painting and so changed the course of art history. 13 Buildings Children Should Know — This book brings together 13 architectural wonders that have intrigued children for years, including Notre Dame cathedral in Paris, Germany's Neuschwanstein Castle, and the Tower of Pisa. Games, quizzes, drawings, and other activities help heighten interest and increase knowledge about the world’s most impressive structures. 48 pages. 13 Women Artists Children Should Know — This book highlights 500 years of great art created by women, introducing young readers to amazing painters, sculptors, and photographers. The book features colorful spreads that include important works as well as portraits of the artists themselves. 48 pages. 13 Paintings Children Should Know — This book introduces young readers to Mona Lisa's mysterious smile, Frida Kahlo's depiction of herself with a monkey, and Van Gogh's hypnotically swirling night sky. Thirteen iconic paintings are featured in the book in large reproductions. 48 pages. 13 Modern Artists Children Should Know — This book is an exciting introduction to the world of modern, Pop, and post-modern art. Picasso, Calder, Chagall, Lichtenstein, Hockney — these and eight other iconic figures of modern art are profiled. 48 pages. 13 Sculptures Children Should Know — This book takes a close look at 13 of the world's most fascinating sculptures, including works by Michelangelo, Rodin, and Niki de Saint Phalle, and other works from around the world. Various games and puzzles enhance this introduction to three-dimensional masterpieces. 48 pages. 13 Architects Children Should Know — This lively and engaging book introduces children to history's most iconic architectural feats and the people behind them — from Christopher Wren and Frank Lloyd Wright to Le Corbusier, Mies van der Rohe, and Zaha Hadid, to name a few. Each architect’s entry includes a concise biography, illustrations of major works, and lively texts that speak directly to young readers. 48 pages. 13 British Artists Children Should Know — This lively introduction to nearly four centuries of British art offers children a strong foundation for learning in a playful and imaginative way, and inspires them to dream, create, and think. 48 pages. 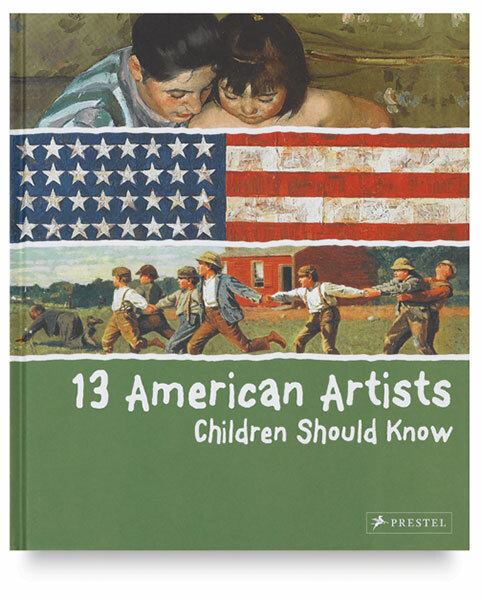 13 American Artists Children Should Know — This lively introduction to some of the towering figures in American art inspires children to dream, create, and think. Each artist in the book is featured in a colorful, double-page spread. 48 pages. 13 Art Techniques Children Should Know — What's the difference between watercolor and gouache, or between a collage and an assemblage? How are frescoes and mosaics made? Why do different kinds of prints look so different from each other? These and other questions are explored in a kid-friendly way in 13 Art Techniques Children Should Know . 48 pages. 13 Artists Children Should Know — Young readers are introduced to the wonders of da Vinci's mysterious Mona Lisa , the playful cutouts of Matisse, van Gogh's mesmerizing brushstrokes, and Vermeer's vibrant depictions of light. Games, quizzes, and other activities help readers learn. 48 pages.